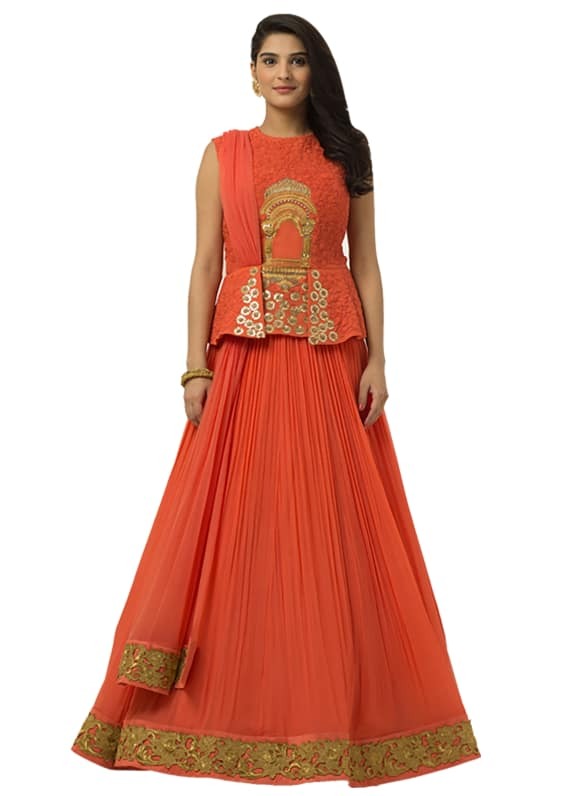 This is a coral coloured chiffon lehenga. 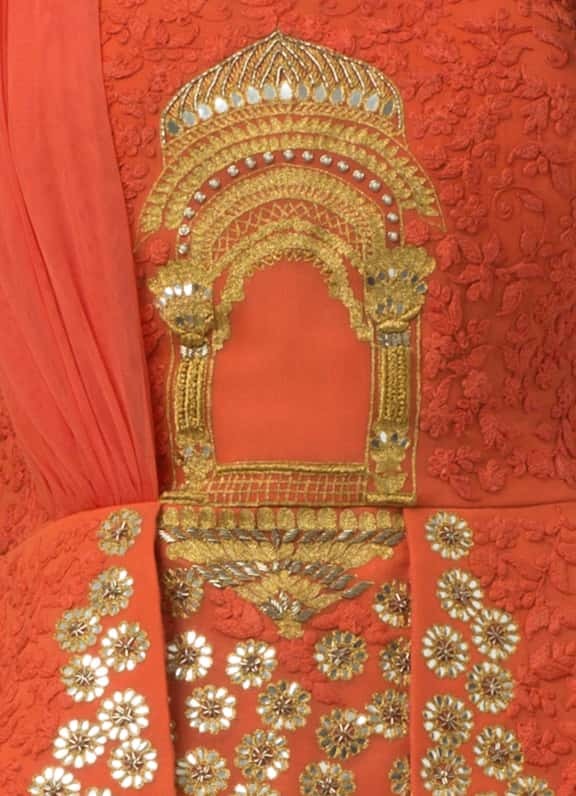 With gold embroidery on the bodice and hemline with attached net dupatta. 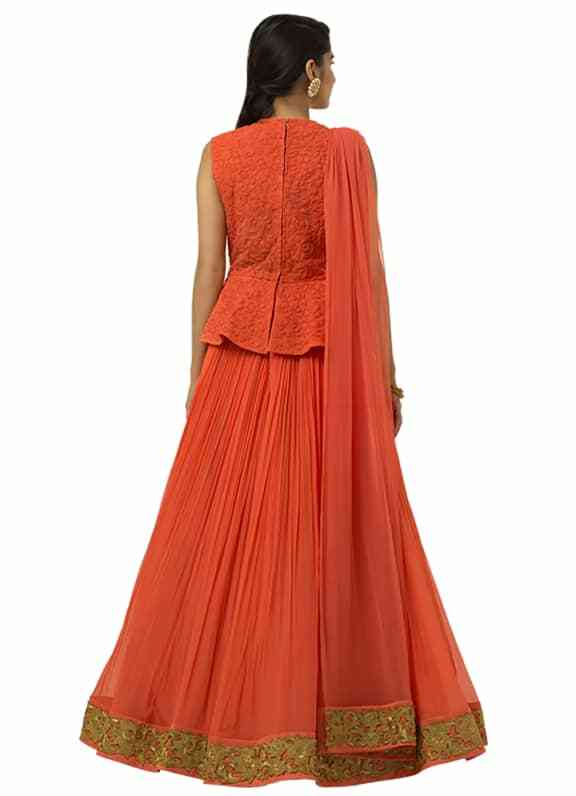 A signature Ridhi Mehra piece. 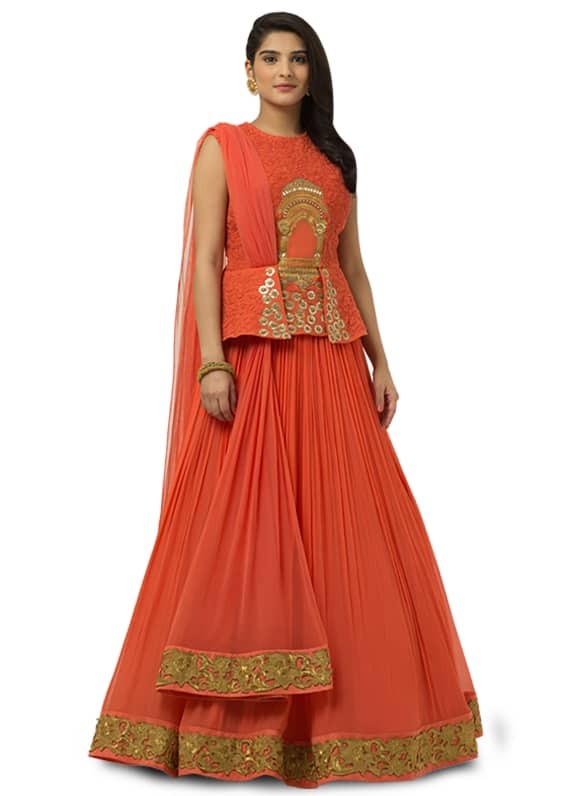 A coral chiffon lehenga skirt which is teamed with a peplum style blouse with beautiful threadwork and an attached draped dupatta. 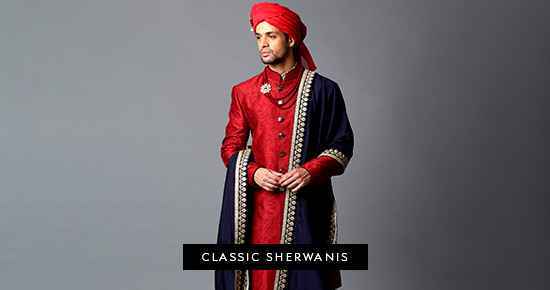 Great for a wedding event. Paired with gold and pearl earrings and bangles from Amethyst.